(L-R) Jamie Munoz, Lisa Moore and Jennifer Couch. Photos/Fayette County School System. The Fayette County School System has announced a number of changes in school administrative changes for the 2018-2019 school year. 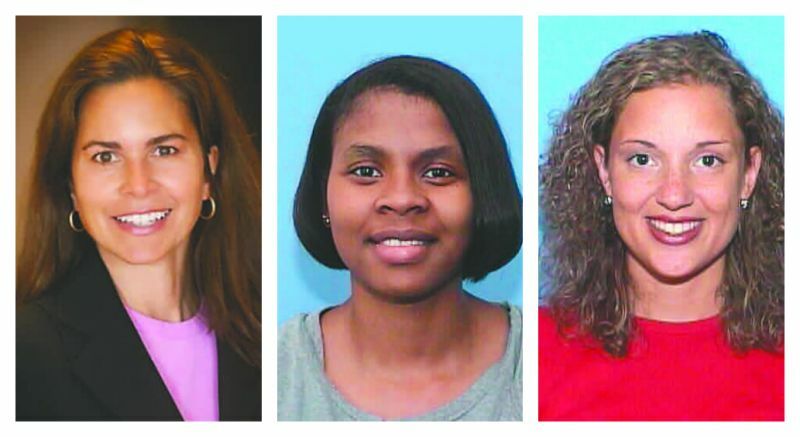 Among those will be new principals in place at three of the county’s elementary schools. Above, (L-R) Jamie Munoz, Lisa Moore and Jennifer Couch. Photos/Fayette County School System. School system spokesperson Melinda Berry-Dreisbach said Lisa Moore, the current assistant principal at Spring Hill Elementary School, has been promoted to principal at North Fayette Elementary School. Moore has spent her entire educational career in the Fayette County Public School System, starting as a sixth grade English teacher at Flat Rock Middle School. She later taught sixth grade English at the former Fayette Middle School before being promoted to assistant principal at the school in 2002 where she remained until becoming assistant principal at Spring Hill Elementary in 2009, Berry-Dreisbach said. Jamie Munoz, the current assistant principal at Braelinn Elementary School, will become the new principal at Spring Hill Elementary, replacing retiring principal Randy Hudson. Munoz also started her educational career in Fayette County, employed as a sixth grade science, mathematics and reading teacher at Whitewater Middle School, and later as a sixth grade science teacher at Bennett’s Mill Middle School before being promoted to assistant principal at Braelinn Elementary in 2011, said Berry-Dreisbach. Jennifer Couch, a former assistant principal at J.C. Booth Middle School, and the former principal at Hapeville Elementary School in Fulton County, has been hired as the principal at Braelinn Elementary. She is replacing retiring principal Wenonah Bell, according to Berry-Dreisbach. Couch worked as an educator in the Fayette County Public School System for 12 years. She started as a ninth and 10th grade math teacher at Starr’s Mill High School, followed by teaching fifth grade language arts and social studies at Peeples Elementary School, and finally teaching fifth grade math, science and language arts at Kedron Elementary School. She was promoted to assistant principal at J.C. Booth Middle in 2007 where she worked until becoming principal at Hapeville Elementary in 2012, said Berry-Dreisbach. Also approved by the board were the transfers of several assistant principals. Christine Castagna and Stacie Coppola, assistant principals at Peachtree City Elementary and Fayetteville Elementary, respectively, will swap schools next year. Castagna has spent her entire career as an educator in the Fayette County Public School System starting as a speech language pathologist in 1986, working at Fayetteville Elementary School and then at Braelinn Elementary School before becoming assistant principal at Peachtree City Elementary in 2012, said Berry-Dreisbach. Coppola has 17 years of educational experience as a general and special education teacher. She joined the school system in 2016 as the assistant principal at Fayetteville Elementary School, Berry-Dreisbach said. Mitchell Pinkston, an assistant principal at McIntosh High, will also transfer to another school, which will be determined in the next few months. He has 11 years of professional educational experience, starting as a social studies teacher and advancing to director of K-12 curriculum and assessment for the Bismarck-Henning School District in Bismarck, Illinois. 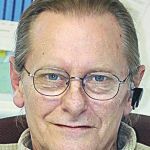 He began working for the Fayette County Public School System in 2016 as an assistant principal at McIntosh High School, Berry-Dreisbach said. Berry-Dreisbach said Oatha Mann will provide administrative support at McIntosh High School. He will also pick up responsibilities as the Coordinator of System Athletics for the school system. He has worked in the Fayette County Public School System for 19 years starting as an assistant principal at Sandy Creek High School in 1999. He was promoted to principal at Flat Rock Middle School in 2003, and is the current principal at North Fayette Elementary School. Additionally, the school system hired Amy Henley, a teacher at Spring Hill Elementary School, to fill the Response To Intervention (RTI)/Positive Behavior Intervention and Supports (PBIS) Coordinator position. Henley has spent her entire educational career in Fayette County Public Schools, starting as a fifth grade teacher at Fayetteville Elementary School. She later moved to Spring Hill Elementary where she also taught second grade before becoming an Early Intervention teacher at the school, and then as the school’s RTI Specialist and Intervention Coach, according to Berry-Dreisbach.